DC comics have recently gone a little mental with their numbering system. The have rebooted pretty much all their franchises as part of an event they have called the 'New 52' referring to the 52 comics a month that are published by DC (or the 52 multi-verses that exist in the DC cannon) this all started about six months ago now, however as something of a lazy blogger I will now talk about the only New 53 series that I'm reading, The Flash. The Flash has been my favoured cape-less hero since the early 90's when I saw the damned awful yet highly entertaining TV series that run for one terrible yet fun packed season. 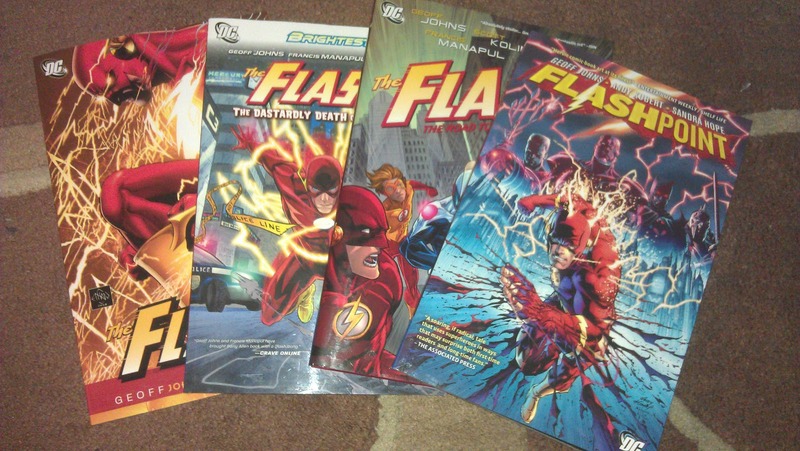 After picking up the trade paperback 'The Flash: Rebirth' recently I decided to get 'up to date' with the red clad runner. Reading everything between Rebirth and the first of the New 52 as collected volume's it was quite an event when I managed to locate all six of the single issues on E-bay (and asked my local Forbdiden Planet to start saving them for me.) In this blog however I am going to specifically talk about issue one. DC comics have never felt the need to organise a reading list or timeline for their publications and often the fan made ones are flawed, so after reading Rebirth, Dastardly rogues, Road to Flashpoint and then Flashpoint I felt that issue one of the reboot was the next thing to read. Upon upon opening the pristine little story I was struck by the subtle change in art direction, it looks more modern and a little more sketchy (a good thing), not echoing the mass production digital work that some other recent DC comics have suffered from. 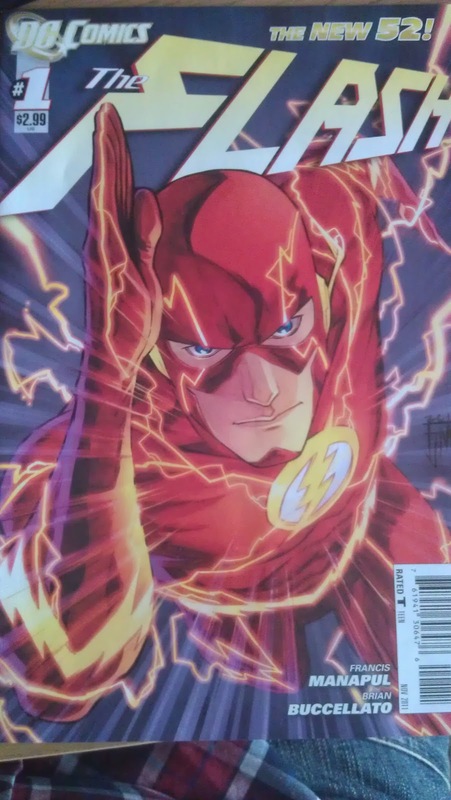 The world after the events of Flashpoint is a little different to the one that came before, Barry Allen is still the Flash but there is no mention of the other speedsters in this volume. Possibly the decision has been made to streamline the universe or at least reintroduce concepts slowly so new readers can keep up. Barry is no longer married to Iris and the two are now little more than passing acquaintances. 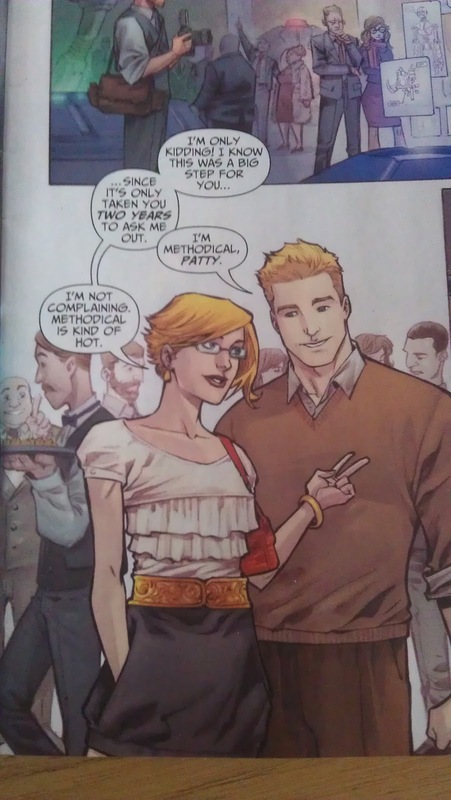 Instead he is dating Patty (a character who Barry has always been attracted to in previous volumes) this in many ways cheapens some of the events in the previous volumes where Barry has been so deeply in love with Iris but I can see why the writers needed to take a step back in the character life to make him more appealing for the majority of the readers. The story progresses at the high speed rate that the best Flash stories always do. As it's only the first issue a few basics are established through Barry's inner dialogue self narrating his 'vibration' through solid objects and even what can go wrong (boom) then quickly we come across a 'bad guy' that I have not encountered before (maybe new for this issue) who is a clone army called Mob Rule. My only criticism however has less to do with the Flash story its self and more to do with the handling on the entire 'New 52'. I would have appreciated a New 52 101 article at the start of the issue (or as a separate issue) to get me up to speed on the new universe and how things are expected to progress. maybe being thrown in at the deep end like this is exactly what DC have intended. If you are thinking of getting 'into' the flash don't get bogged down in anything that happened before the reboot, its all pretty straight forward from here on out. -Thank you for reading my Off Topic - Not game related post.